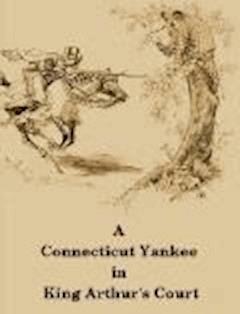 This is the tale of a 19th-century citizen of Hartford, Connecticut who awakens to find himself inexplicably transported back in time to early medieval England at the time of the legendary King Arthur in AD 528. But as a perishable perfect man must die, and leave his despotism in the hands of an imperfect successor, an earthly despotism is not merely a bad form of government, it is the worst form that is possible. And when I saw her fling herself upon those hogs, with tears of joy running down her cheeks, and strain them to her heart, and kiss them, and caress them, and call them reverently by grand princely names, I was ashamed of her, ashamed of the human race.